Welcome to Christmasland. I hope you’ll survive your visit. Because I love Halloween – it’s my favorite holiday by far – I’m always on the lookout for Halloweenesque comics and stories. Wraith: Welcome to Christmasland by Joe Hill and Charles Paul Wilson III fits the bill nicely. I loved this very dark tale about ageless madman Charlie Manx driving around in his a vintage 1938 Rolls Royce Wraith, taking sinners to Christmasland. The car runs on human souls instead of gasoline. How’s that for alternative fuel. Wraith: Welcome to Christmasland starts when three convicts are being transferred in a bus by two cops. In an attempt to free one of the convicts, an accomplice at the edge of the road shoots at the bus and makes it crash. With nowhere left to turn, one of the escapees calls in a favor to Charlie Manx, who picks up the crooks and the two surviving cops. In his Rolls Royce he takes them on a road trip to Christmasland. Now, Christmasland may sound like a theme park, and in a way, you may call it that. It’s just that Christmasland resembles Christmas in hell more than it does the cozy little family gatherings we see in the movies about the holiday season. Just imagine the movie Tim Burton’s The Nightmare Before Christmas being directed by horror master Wes Craven and you get an idea what Wraith feels like. Christmasland is a magical place where it always seems to be snowing and where you don’t have to wait in line for the rides. Children never get old, but have the nasty demonic tendency to kill people with scissors or just take a bite out of them with their very sharp and big teeth. 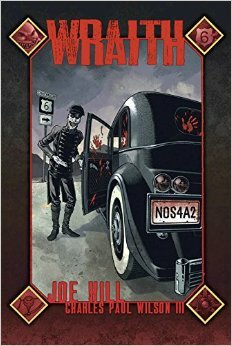 Joe Hill, writer of novels and comics, – mostly very well written, dark horror stories with magical twists – introduced Charlie Manx and Christmasland in the New York Times bestselling novel, NOS4A2. 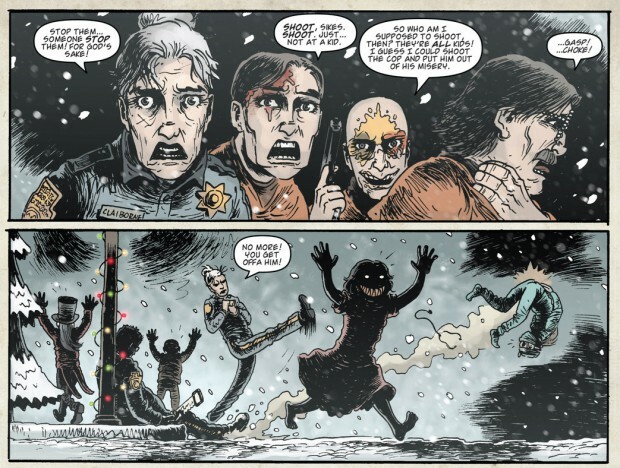 The comic Wraith serves as a prequel to the novel and collects the limited-series Wraith: Welcome to Christmasland and an added prologue in which the history of Manx is explored. Manx has kept himself alive for over a century by draining an essential life force out of children, warping them into little monsters. When Manx is done with them he takes them to Christmasland, where they live on in an eternal Christmas Day. 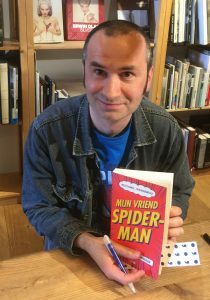 Stijl is in lijn met het verhaal, lekker ruw. 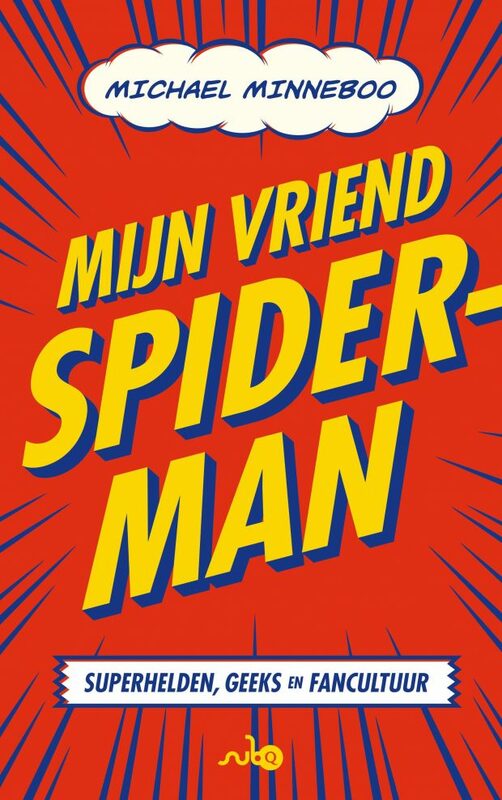 Deze kan op mijn lijstje!